A beautiful 2 bedroom, 2 bathroom apartment. The complex is right on the water with gym, spa, sauna, indoor and outdoor pool. A great place for a fab lifestyle. There is a bus stop very close to the complex with regular buses to the city. There are also many cafes, restaurants and shops in walking distance. I am easy going and respectful of other peoples space and no party animal. I try and get to Pilates, yoga or do the bay walk if I am not out to dinner on weeknights and like to be out and about on weekends with friends and family. I also don't have too many people over as I tend to go out to dinner to catch up with friends. Stunning one bedroom apartment just recently fully renovated! Gorgeous views of the city, perfect for NYE fireworks! It is a 20 minute lovely walk to the city, casino and fish markets. Busses to any where outside of your door step! Brand new kitchen with gas cooking and dishwasher. New modern bathroom. Floorboards throughout. Laundry with coin operated washing machine and dryer. Under cover parking spot. Stunning city and water views of Anzac bridge and white Bay. Short term leases and long term leases are available! A must to inspect. This modern three bedroom two bathroom house is a rare find in Rozelle. Waking distance to shops and cafes and only a short bus ride to the city. Individual $400 a week or Couple $500 a week The room :- Huge fully furnished master bedroom Own balcony Lots of storage ceiling to floor Large queen bed with bed side tables Sharing a bathroom (next to the room) with just 1 other housemate Victorian terrace in Rozelle with a large backyard situated 3mins walk to buses to the City. Very suburban area for quiet living just steps from Darling street which is full of good cafes and restaurants. 2 minute walk to bus stop that is 1 stop into the city, 10 minute walk to Darling Street which has lots of cafes and restaurants. Hammock on the balcony that overlooks communal garden, large TV with surround sound. Room is fully furnished with bed &amp; dresser etc. 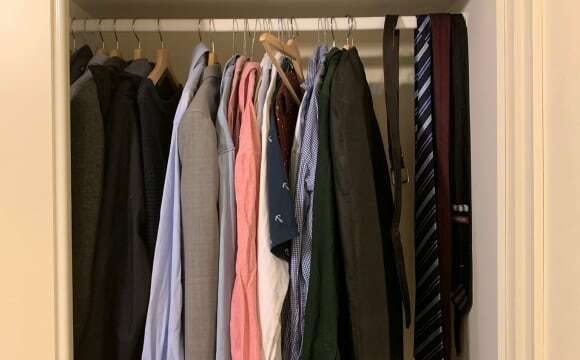 You will have your own room with wardrobe. Huge kitchen and garden. 55 inches TV and super convenient access to the city. I'm travelling overseas for a few weeks. While the rent of the room is 340 per week for myself, for this few weeks I would be happy to rent it cheaper. You will have a 4k monitor, desk, chair and speakers in your room Cheers! Less than a minute walk to bus stop. 10 minutes bus distance to city. Right on darling street. Close proximity to Darling St Balmain with shops/restraints/gyms. The Fruitologist is directly downstairs which has a great fruit and veg market plus awesome food/coffee. 10 minutes from the city. There is a roof top garden with a communal veggie garden with harbour views. We have our own garden bed that we can plant our own herbs/plants on the balcony with a good size deck. The appartment has air conditioning plus bedrooms/living area have ceiling fans. The apartment building is fairly new plus very safe with locked gates. We have internet connected with netflix, stan ect. Great location - a short walk to buses to central or the city. Short walk to heaps of pubs, places to eat, and under min walk to Woolies. There is also free on street parking that is always available. The house is fully furnished, and the room can come with a bed if you want. The house is a 2 story open plan terrace style house. It is close to all amenities and is close to the city, parks, and has all the benefits of inner city living. It is ideally suited for the young professional couple / single person. It has all appliances less than 2 years old that are included such as a fridge, dishwasher, washing machine, dryer, etc etc. I live interstate and occasionally (once every 2-3 months) visit the house to see my daughter who lives in one of the bedrooms and I stay in the fourth bedroom. We have 1 bedroom available. The front bedroom is suitable for a couple as it is very large with cathedral ceilings, its own balcony and large built in wardrobes. It is very secure. The room is fully furnished with a queen size bed and bedside tables. The house is fully airconditioned. The bedroom is advertised at $450 per week and includes all bills and internet usage. The room is available in the next few weeks, so please contact me to arrange a time to inspect. 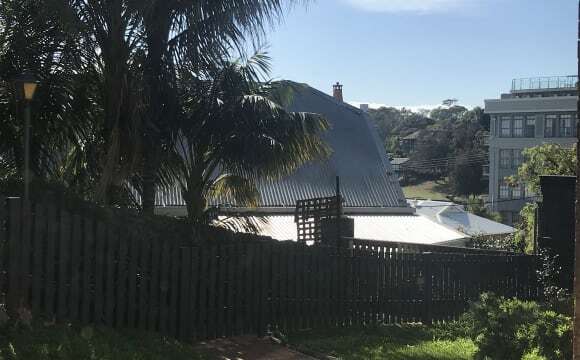 Note: photos are from original listing, current photos on request Internet and water included - huge living space with a deck and small garden (no gardening required) perfect for entertaining medium sized gatherings. One room is also air conditioned, and the place is quite spacious. Room itself is unfurnished, but common areas have a sofa bed, coffee table, TV unit (no TV), dining table, jacuzzi, deck table/seats, outdoor benches, fridge, washing machine, dishwasher, and dryer. 5 min walk to nearest bus stop to get you into the city or up to Birkenhead point. Woolworths a 5 minute drive away (another one opening this year that's 1 minute walk away), and a multitude of pubs nearby. To pair with those pubs, a kebab store is 100m away. THE APARTMENT LARGE split level apartment with spacious open living area, high vaulted ceilings and modern finishes throughout. Huge bi-fold doors fully open the living area to a private outdoor terrace, set within a serene green oasis. The apartment has air conditioning, fly screens, WiFi, Netflix, Amazon, Chrome-cast and all new appliances. There is also attic space for any extra storage needed. THE ROOM The second bedroom, on the top level, is a large room furnished with a Queen bed, drawers and fitted double robes/storage and separate bathroom. The room also comes with one parking space in a secure garage under the building. LOCATION On a quiet and quirky cul-de-sac in the heart of Rozelle, a few minutes walk to Darling Street and all the amazing cafes/pubs/restaurants/shops/parks/markets that Rozelle and Balmain offer. A super easy 10 minute journey into the CBD with an extensive number of buses. 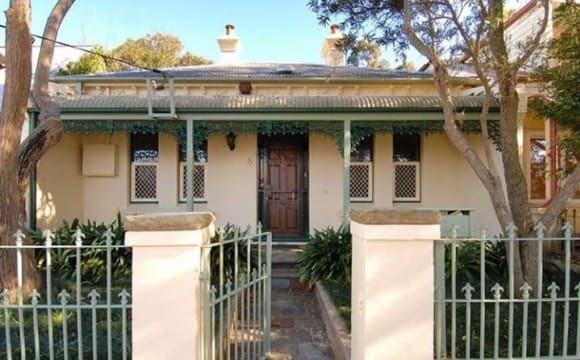 Large and spacious original terrace located in the heart of leafy Rozelle. It has 3 bedrooms, 2 bathrooms, dedicated living and dining areas, an alley kitchen and a large quiet courtyard. Close to Victoria Rd public transport it is only a quick 10 minute bus ride into the city. It is also a stone throw away from Darling St cafes, shops and pubs. It is also close to the Bay Run, Iron cove and Birkenhead point. This small and cosy room is situated on the second floor an has a built in wardrobe, high ceilings and a balcony that overlooks the city. The room is currently furnished with a Queen bed but can be removed if you have a smaller bed. The room is probably better suited for a Double. Hello, my name is Nikki If you are still looking for a room, please consider my list + Single room $330 per week 2 weeks bond The house is allocated in a safe, quiet, manner and well aired location. Take your own room with all facilities needed, a queen bed, table, chair, bedside table, lamp, built in wardrobe. _ ALL BILLs included internet connection, gas, water and electricity. _ Fully furnished with AC, fridge, oven, kitchenette, dishwasher, washing machine and dryer. _ Facility gym, spa, sauna, pool, tennis court, car park ( all free access ). _ Secure CAR Space available in garage with auto key. _ Near bus stop and Balmain ferry. _ 5 min-walk to Woolies , coffee shops, bars, restaurants, police station, fire station, hospital, library, parks and Balmain shopping center. _ 5 min- walk to bus stop, 8 mins to get to City by bus. 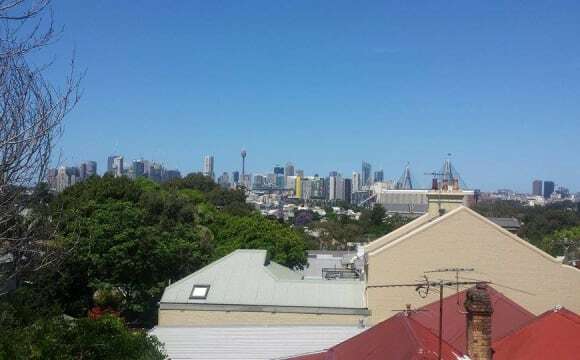 _ 15 min- walk to Balmain East, best location to see fireworks that faces Sydney Harbour Bridge. It is a peaceful, safe area in a quiet residential location. Available: 24/03/2019 1 month minimum stay Thank you !!!!!!!!!!!!! Classic Sydney 2 storey, 2 bedroom terrace house to share in the heart of Balmain with one other working professional female.Very comfortable ,easy living home with a lounge room ,dining room with ornamental fireplaces in each room,there is a kitchen ,internal laundry and share bathroom .Also this home has a secure medium outdoor courtyard and garden.Its a 2 min walk to bus stop and very close to Darling street cafes ,and supermarket ,quiet street and friendly neighborhood. The bedroom is a lovely charming Victorian style room , is spacious, unfurnished with a ornamental fireplace,double French doors opening onto adjoining private balcony with great views!.Sunny, light, peaceful room! Hi There, I have a room available on the 1/5/2019 in Rozelle on the Balmain side of Victoria Rd. Its a 4 story brick Duplex in a quite area and its close to the CBD. You would be sharing the bathroom with 1 other that is VERY clean. Rent will be $250/week + 1/3 of the Bills. -The room comes with its own Double Bed and a Built in. -The Bathroom has a massive skylight that brings plenty of light. As you can see from the photo's it has a very warm Chalet feel with plenty of greenery. While i have some furniture there will be plenty of room to bring your own. The place currently full of moving boxes at the moment so please excuse the mess at the moment. **NO smokers please** - The place has plenty of light all year round and has a great outdoor area. - Looking for someone about 30+. Its a great place and i have been here for a few years now. - I'm sure you will like it as well - 4 Storey - Street Parking in quiet area - 2 min walk to Bus Stop with 1 stop to the city - Beautiful Courtyard - Detached Laundry - Has big Kitchen / Living and Dining Rooms - Very Quiet Area - 5 mins to CBD - Built-in Wardrobe - Double bed supplied with new mattress. Quiet, private, spacious, sun-filled during winter, and close to everything. 15-20 minutes to the CBD. 5-mins walk to Balmain ferry wharf, buses from Darling St and Gladstone park, and shops, cafes, waterfront. Your room opens directly into the fully-fenced courtyard and lawn, has built-ins and comes furnished with a queen bed and side table. The bathroom is shared, but spacious with a two basin vanity. Make yourself at home, enjoy your quiet space or share a chat/wine/meal. I live with my beautiful two furry babies, so hopefully you like dogs and doggy cuddles!! Its Balmain close to city By ferry bus and shops. ***SHORT TERM STAY ONLY *** We are heading away for just shy of 3 weeks and so our large room is available (April 17-May 6) Our top level apartment has beautiful views of the water and is in the heart of Balmain. The apartment is fully furnished with open living, BBQ and balcony. Large bedroom with built in robes, seperate walk in wardrobe and ensuite bathroom. Bus stops and ferry terminal all close - easy access to city/Barangaroo. We have shared Netflix and Stan, a big TV to watch it on, unlimited internet. Kitchen is fully functional and very spacious. Location is very convenient to the light rail, the tramsheds and the waterfront. 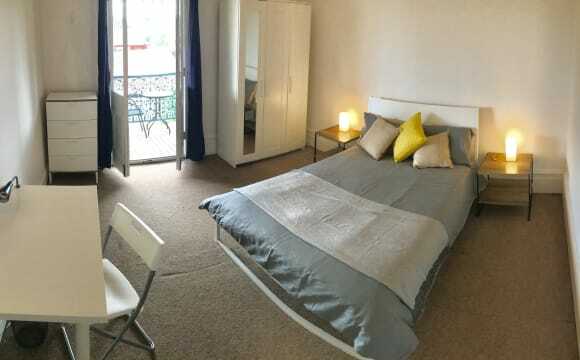 Room available from the 01/05/2019 Our place in a few points: - Large 2 bedroom, 1 bathroom apartment. Very clean and tidy; - Your comfortable room is very bright with queen bed, desk and build in; - Price includes all bills, fast-unlimited internet, bed sheets and bath towels and cleaning of the common area + 2 meals per week; - Bus stop just around the corner. 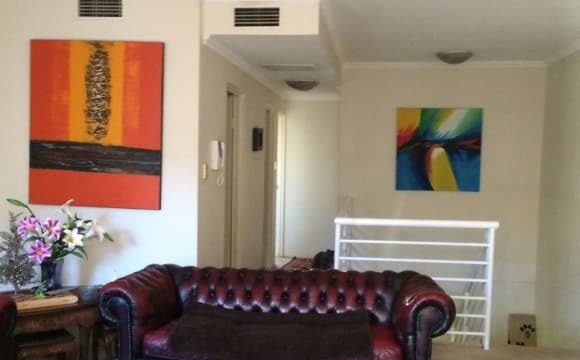 Easy access to Sydney CBD and close to all facilities such as cafes, restaurants and shopping centers; - Located on the water, next to park; Really beautiful, large, 2 bedroom apartment situated at the end of Glebe Point road with an amazing view on the glistening waters of Black Wattle Bay. We are in such a peaceful, quiet area and so just a few minutes away from everything you need such as cafes, restaurants, shopping centre, Uni’s, … The bus, just on top of the street (2 minutes walk), will take you directly to the heart of Sydney. Or, if you feel like walking, it would only take you +/- 30 minutes. The comfortable, cozy room is fully furnished with a queen bed, desk and build in wardrobe. The rent includes all bills, fast unlimited internet, bed sheets and bath towels and cleaning of the common area. We can also provide you with 2 meals per week. These could be shared together with us or to be eaten at your own time. We are looking for a friendly, respectful, tidy person happy to share the place with us. Beautiful three story terrace in the heart of Balmain! We have a lovely large furnished bedroom available from next Wednesday the 17/4. The bedroom is on the ground floor of the property has wooden floorboards, queen bed, desk, wardrobe, bookcase, and full length mirror. $315 per week ALL BILLS INCLUDED in your rent price: - Fortnightly cleaner - wifi - electricity, gas, water - general shared household items Communal areas include: - A furnished cosy lounge room - Large kitchen fully equipped, plenty of cupboards, dishwasher, gas - 2 bathrooms one is large with a TUB! - A leafy green courtyard with a large table, it's a great space to relax during the day, plenty of sun - Laundry - On street parking About the town: - Minutes away from heaps of cafes, bakeries, deli's and restaurants. - Countless wine bars and pubs - Health food stores and supermarkets - Gyms and all types of fitness activities - Lots of beautiful parks, most with waterfront views - 5 minute walk to Dawn Fraser Baths - The house is three minutes to a bus stop that takes you straight to the QVB/ town hall station, the centre of the CBD. - Multiple ferry wharfs If you think you’d like to move in and make this your new home get in touch, we are wanting to make a decision ASAP. *LOCATION* We are located in the central yet suburban gem of Lilyfield, on a quiet tree-lined street with an abundance of parks (spots for cars also grassy areas for recreation). 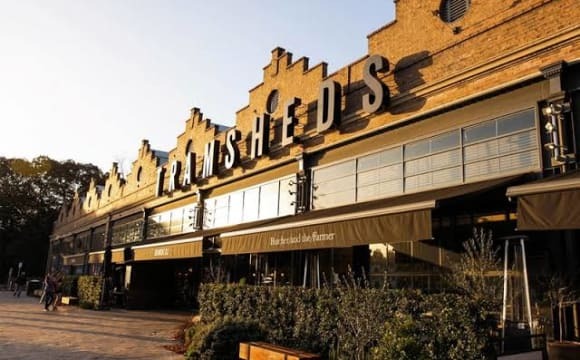 Apart from being right next to the 470 stop (15 mins to USYD, 30 mins to City), Lilyfield lightrail station and a substantive IGA, we are also conveniently located between Norton St (for the gelato fanatic), Annandale shops (for local community vibes) and Tramsheds (for the shameless enjoyment of gentrification). 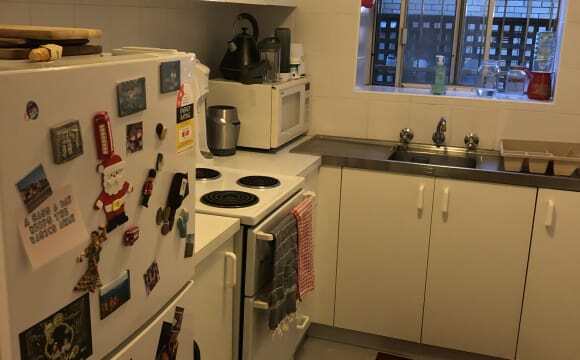 *HOUSE* This three-bedroom + granny flat Federation era beauty has newly renovated gas kitchen (v important for stir-fries) and bathroom (shower has perfecto pressure). Thanks to tall ceilings, the house is airy and spacious - homely vibes / 10. A key feature of the house is our backyard with a giant mango tree and a once-thriving-now-budding veggie garden. But if our backyard can’t satiate your green-thumbery needs, the council community garden is just down the road. The room on offer is medium-sized with a giant built-in wardrobe and it’s own door to the outside. It has more than enough room for a double bed, a desk plus shelves or whatever it takes to float your boat. Bills are shared equally and not included in the rent. This unit is small but spacious set near park, water and close to public transport and main shopping area in beautiful Balmain. Great place, with a great location, just a small walk up to Glebe point road which is filled full of cafes, restaurants and shops. Madame frou frou is my local coffee joint, best coffees on Glebe Point Road! Also you are only a small walk down to leafy Blackwattle Bay, from there you can either go for a walk into the city or you walk round to the many parks/tram sheds. We have a nicely sized lounge and dining area with a Flatscreen TV (although i dont watch much TV), I like to spend most of my time chilling out on our balcony when I am at home. 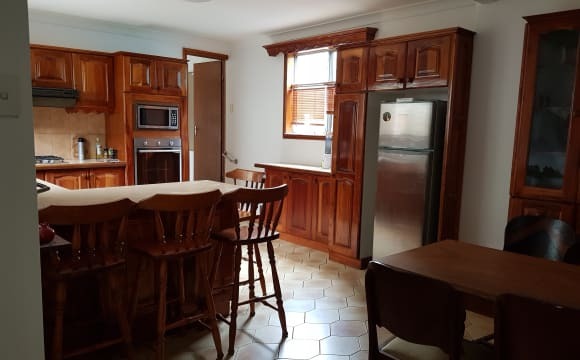 We also have a nicely sized kitchen, I am not cooking all too often so if cooking is your thing then you will pretty much have free reign of that area. There room is nicely sized with a big double wardrobe. There is also a mattress and table that will be left from my previous flat mate, so you are welcome to take it? Or we can dispose of it, up to you. . PS the lease is up on May 10th, so if you want to move in as short term or you have the potential to take over the lease from me after that as I will be moving out, up to you. Give me a message about yourself, why you think the place would suite you and why we would make good flat mates. If all lines up then we can organise a time for you to check out the place. Speak soon. Spacious, gorgeous house in fantastic location. Bus stop to city across the road. Excellent, leafy location on breezy Glebe Point. Bills and internet included ** Available 28 April ** A cosy room with a sunny outlook in a vintage apartment. Clean and considerate people welcome (no shift or late night workers please). A Federation building circa1908, this apartment has loads of character and being UPSTAIRS on the 1st floor means it's VERY SECURE. A boutique building with just four apartments, all people know each other and are friendly. Transit is EASY AND SAFE at any hour of the day as the area is well-lit with steady pedestrian traffic, and bus 431 goes right past the front door ($2.20 into the CBD). 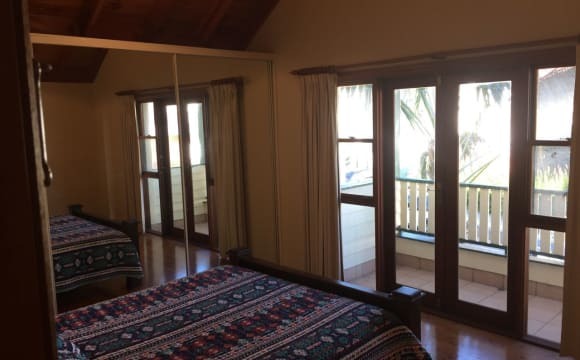 The room is medium sized and is FULLY FURNISHED with a Japanese futon bed, robe, bedside chest, lamp and fan/heater and has two transit windows above the doorways (byo linen, towels and toothbrush!). When the back door is open a lovely breeze flows through the room. Visitors rave about the gorgeous kitchen with 10 foot high ceilings and loads of sunshine and house plants. NOTE: due to lease arrangements the room is available for ONE PERSON ONLY (no couples or room share). This place is close to everything, bus, light rail, Broadway, shops, cafes, bars etc. It’s got lovely high ceilings and has an old charm about it. The outdoor terrace is nice for fresh air and has a partial view of the CBD.